The Bible contains a precious passage in Luke 7:36-50 about a woman who had committed MANY sins. She came to Jesus by faith, believing that He was the Savior Who would forgive her sins, and Jesus did. Amen! “And one of the Pharisees desired him that he would eat with him. And he went into the Pharisee's house, and sat down to meat. 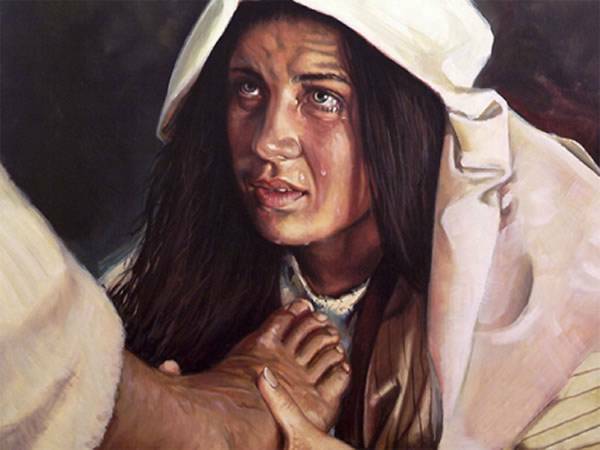 And, behold, a woman in the city, which was a sinner, when she knew that Jesus sat at meat in the Pharisee's house, brought an alabaster box of ointment, And stood at his feet behind him weeping, and began to wash his feet with tears, and did wipe them with the hairs of her head, and kissed his feet, and anointed them with the ointment. Now when the Pharisee which had bidden him saw it, he spake within himself, saying, This man, if he were a prophet, would have known who and what manner of woman this is that toucheth him: for she is a sinner. And Jesus answering said unto him, Simon, I have somewhat to say unto thee. And he saith, Master, say on. There was a certain creditor which had two debtors: the one owed five hundred pence, and the other fifty. And when they had nothing to pay, he frankly forgave them both. Tell me therefore, which of them will love him most? Simon answered and said, I suppose that he, to whom he forgave most. And he said unto him, Thou hast rightly judged. And he turned to the woman, and said unto Simon, Seest thou this woman? I entered into thine house, thou gavest me no water for my feet: but she hath washed my feet with tears, and wiped them with the hairs of her head. Thou gavest me no kiss: but this woman since the time I came in hath not ceased to kiss my feet. My head with oil thou didst not anoint: but this woman hath anointed my feet with ointment. Wherefore I say unto thee, Her sins, which are many, are forgiven; for she loved much: but to whom little is forgiven, the same loveth little. And he said unto her, Thy sins are forgiven. And they that sat at meat with him began to say within themselves, Who is this that forgiveth sins also? 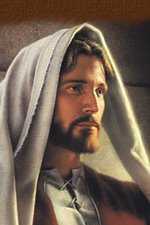 And he said to the woman, Thy faith hath saved thee; go in peace” (Luke 7:36-50). Jesus is so precious! We are so undeserving as sinners. Jesus paid a debt that He did not owe because we owed a debt that we could not pay. Religion wants to fit us with glasses, but Jesus wants to open our eyes that we might see. There is no depth of sin to which a person can sink, but that God's mercy and grace will forgive them. Jesus shed His blood to wash away our sins. 1st John 1:7b, “and the blood of Jesus Christ his Son cleanseth us from all sin.” All we need to do is acknowledge our guilt of sin and believe the Gospel of Jesus Christ for forgiveness. You don't even have to “ask” Jesus to forgive you, because He already paid for your sins on the cross with His blood, and has promised to “SAVE THEM THAT BELIEVE” (1st Corinthians 1:21). The Gospel is not a matter of promising God to do better, nor to amend our sinful ways, nor to reform, nor give up the world; but rather, to freely receive the gift of God on the basis of Christ's blood sacrifice. Christ died on the cross for our sins, He was buried, and He bodily raised up from the dead after three days. That is the “Good News” of the Gospel which all men must believe to be saved. In Victor Hugo’s 1862 novel, “Les Miserables,” Jean Valjean serves nineteen years in prison for stealing a loaf of bread. After his release, the bitter ex-prisoner comes to the home of a kind bishop, who serves Valjean a meal using his best silver and gives him a bed for the night. That evening, Valjean steals the bishop’s silver and is caught. Brought to the bishop by the police, he expects the worst, only to hear the bishop say, “I gave them to him. And Jean, you forgot to take the candlesticks.” A shocked Valjean is brought to true repentance by the bishop’s extraordinary kindness. How many people would be willing to trade their silver plates and candlesticks for the joy of seeing a broken life restored? Please notice our text passage of Scripture from Luke 7:50, “And he said to the woman, Thy faith hath saved thee; go in peace.” It wasn't her turning away from sinful behavior that saved her, but her faith. If she hadn't repented (changed her mind), she never would have come to Jesus at all. Godly sorrow is not repentance, but the Bible teaches in 2nd Corinthians 7:10 that “sorrow worketh repentance.” This woman was sorry for her sins, and she repented and came to Jesus by faith and was saved. Please don't misunderstand. Being “sorry” is a “feeling,” an emotion which is not required to be saved. It is heresy to say that a person must be “sorry for their sins” to be saved. To be saved, you must simply believe the Gospel. Albeit, if a person didn't repent (i.e., change their mind) they would never believe. Some people feel emotions at the time of salvation, but others don't. In the case of this woman in Luke 7:36-50, she had committed MANY SINS; therefore, she loved Jesus MUCH because He forgave her of MUCH. Luke 7:47, “Her sins, which are many, are forgiven; for she loved much: but to whom little is forgiven, the same loveth little.” Emotions and feelings are a complicated matter, which are not required to receive God's gift of eternal life. Salvation is not doing your best, it is having Christ's best put to your account through receiving Him by faith. Salvation is freely given and freely received. Eternal life is a free gift. We are not saved in any way by our own self-righteous efforts or works. It's not what you're doing that gets you to Heaven, it's where you're looking. Look to Jesus!